They serve persons with cognitive, hearing and vision disabilities; as well as those with mental illness and physical challenges. To provide children and adults who have, or are at risk for developmental disabilities, the support training, opportunities and facilities needed to achieve their highest degree of independence and greatest quality of life. Connects the disability community to information and resources. The DO-IT (Disabilities, Opportunities, Internetworking, & Technology) Center is dedicated to empowering people with disabilities through technology and education. It promotes awareness and accessibility—in both the classroom and the workplace—to maximize the potential of individuals with disabilities and make our communities more vibrant, diverse, and inclusive. A nonprofit 501(c)(3) organization established to promote and improve awareness, availability and accessibility of information that can help people with disabilities live, learn, love, work and play independently. Estate planning is important for all families. But it is an imperative for those mothers and fathers caring for children with disabilities. Bernard Krooks, a New York City based estate-planning attorney offers some advice on what he thinks parents should consider when planning for a child with special needs. The purpose of this workbook is to assist a person with an intellectual or developmental disability to learn about healthy relationships, to identify and recognize abuse and to know who to contact for help. Their communities are made up of people with disabilities and those who come to share life with them. their mission is to create homes where the unique value of each individual is realized and celebrated. L'Arche USA is comprised of 14 communities and three projects throughout the United States, including Cleveland. LDANO is an organization which provides services and programs to children and adults with specific learning disabilities (SLD) and their loved ones. Programs are also available for teachers and other individuals interested in learning about SLD. ​Provides resources for military families that have members with ongoing medical, mental health, or special educational needs. These include directions to EFMP resources, STOMP training, a parent tool kit and education directory. If you need to apply for disability benefits, reapply, or appeal a decision, you are entitled to a free no-obligation evaluation with a professional SSDI/SSI advocate or attorney. Get your evaluation by completing the online form. 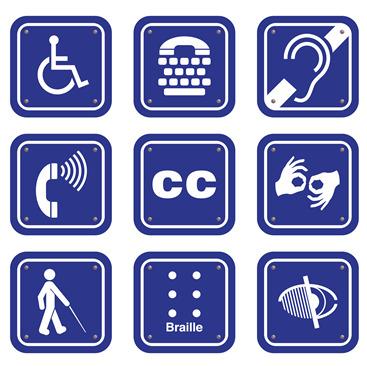 These can provide assistance with disability advocacy, home health services, home care, nursing aid services, Medicaid and accessing other community resources to help people with disabilities.